Decorating the tree is one of our favorite things about the holidays. But between ornaments, garlands, tinsel, and lights, it can get a little pricey. Instead of settling for a sad spruce, why DIY your Christmas decor? 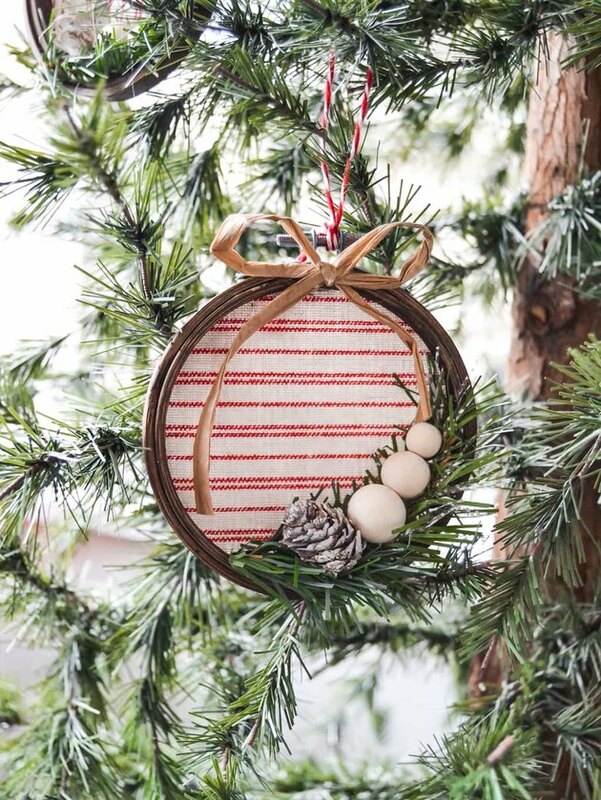 Whether you have a towering fir in need of a bit of bling or an all-white tree that could use a pop, here are 14 do-it-yourself ornaments that you'll actually want to make — and can pull off with ease. 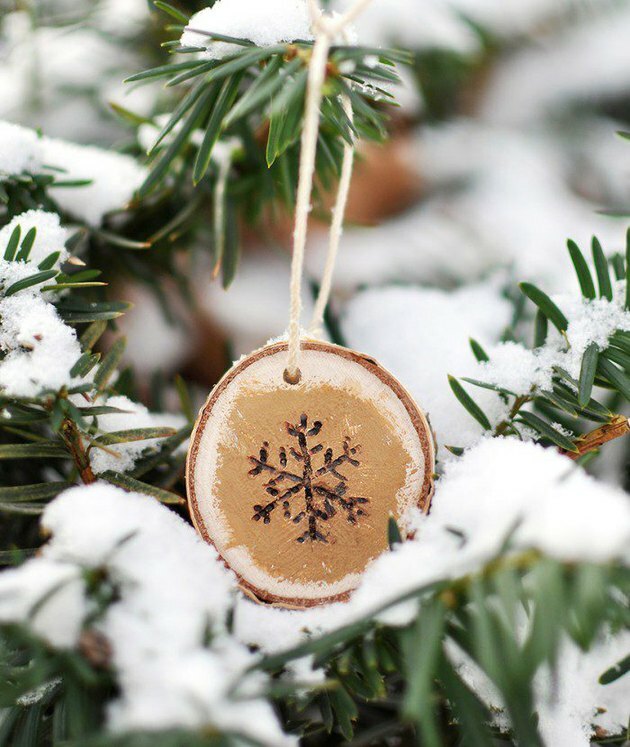 These tree-shaped ornaments are totally customizable. Pro tip: Opt for fabric swatches, which are perfectly sized for this project and come in lots of different patterns. Sara and Melissa from the blog Alice & Lois shared their how-to using Minted's line of fabrics. Can't get enough of your festive front door wreath? Thanks to Lindsay from My Creative Days you don't have to. 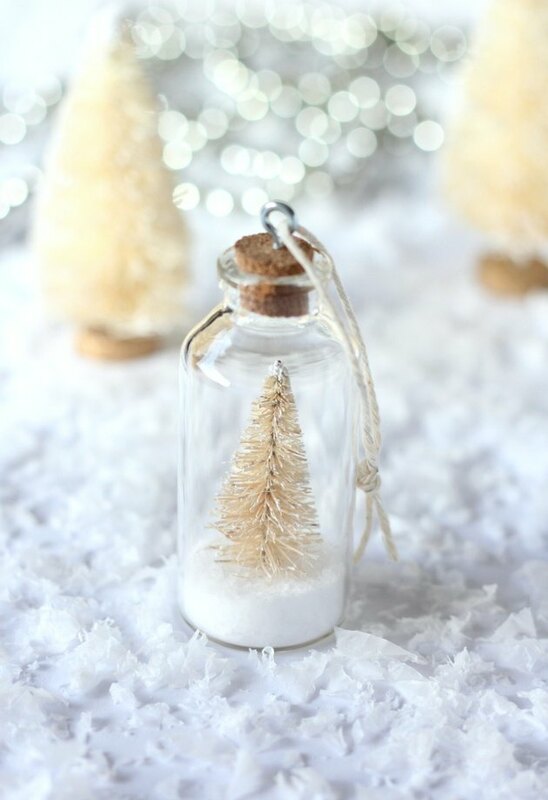 Just follow her step-by-step instructions to make these sweet mini versions to spruce up your tree. All that glitters is gold. And these dazzling decorations from Andrea over at The Beauty Dojo prove it. Not to mention, they'll look fabulous against the hunter green backdrop of your tree. 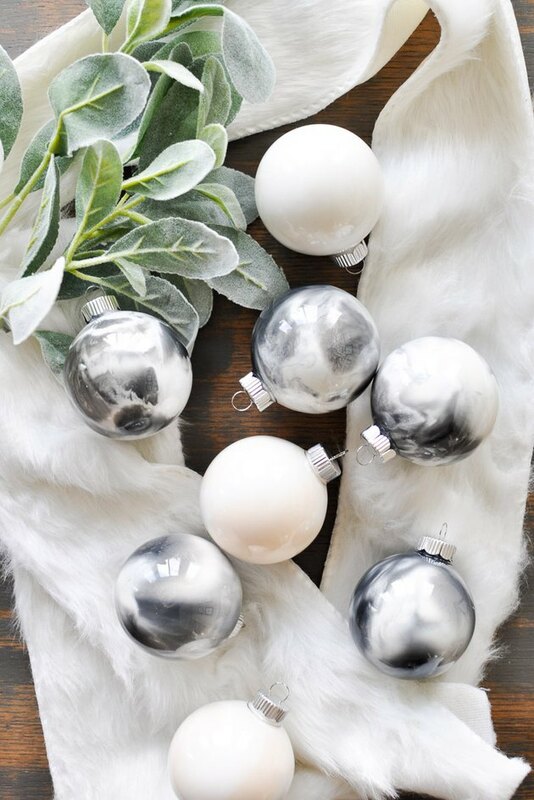 A sophisticated spin on your standard holiday accoutrements, these marbled ornaments from Ashley over at Cherished Bliss blend various shades of black and white. And the effect is stunning! This DIY Christmas decor looks like it came from some fancy store, but they only take a few minutes to make. Perfect for trimming your tree, but you can also use them to add a seasonal touch to your mantle or as place settings for your table. 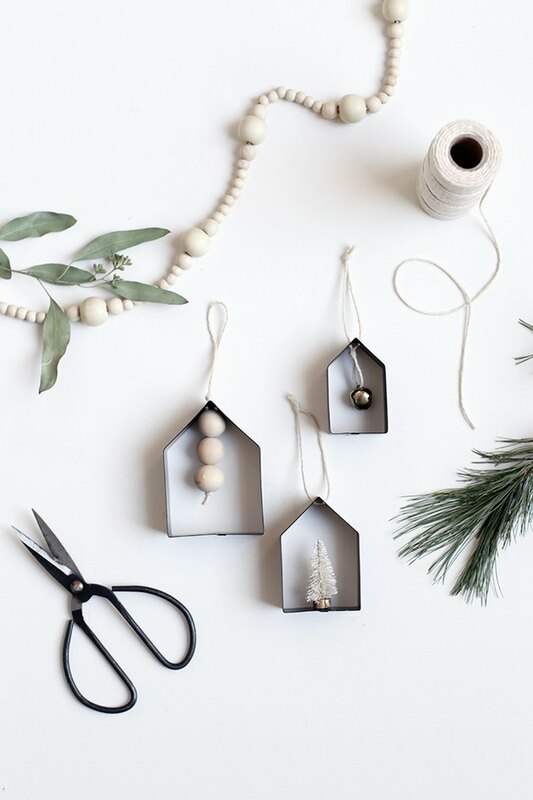 Learn how Shauna from Satori Design made these festive ornaments here. 'Tis the season for family bonding. 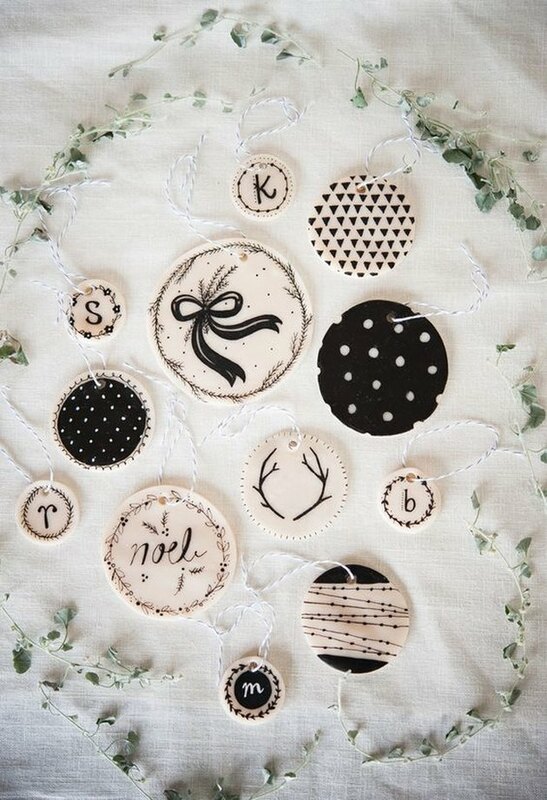 Why not start a new tradition by getting loved ones together to craft these festive clay ornaments by Kelli Murray? And bonus: The smaller ones can even double as personalized tags for holiday gifts. Retro chic, anyone? 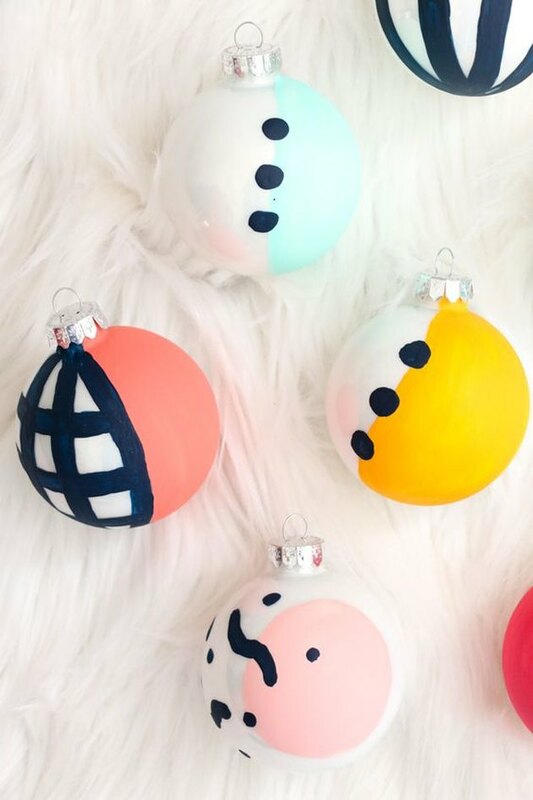 Inspired by the Memphis design movement of the 1980s, these graphic painted ornaments by Kara from A Kailo Chic Life are completely eye-catching — and surprisingly simple to create. Being a minimalist doesn't mean you have to be content with a bare tree. Grab a cup of warm cocoa and make these sparkling geometric gems instead. All you need are some brass jewelry connectors and a little string, and voilà ... you've created elegant minimalist magic. Caitlin from The Merrythought shares the how-to here. The weather outside may be frightful, but this marbled DIY by Jeran from Oleander and Palm is so delightful. 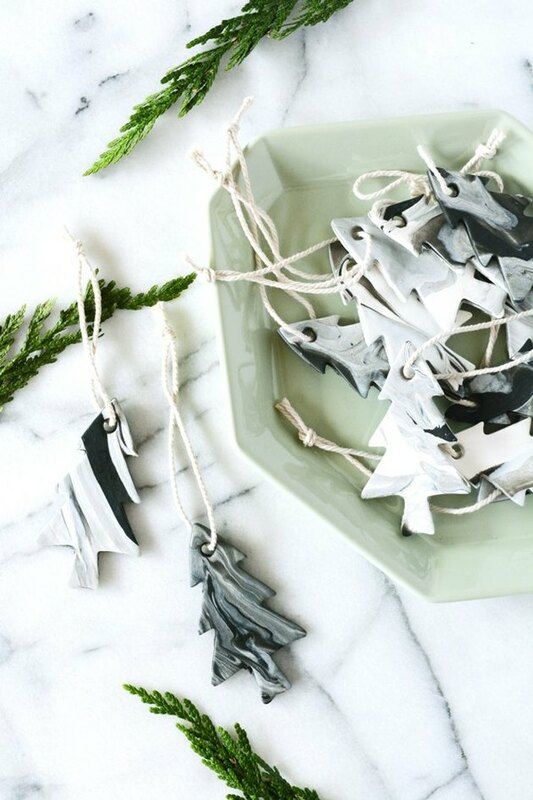 Turn on the twinkly lights and watch these black and white clay trees steal the show. Earthy elegance at its finest! 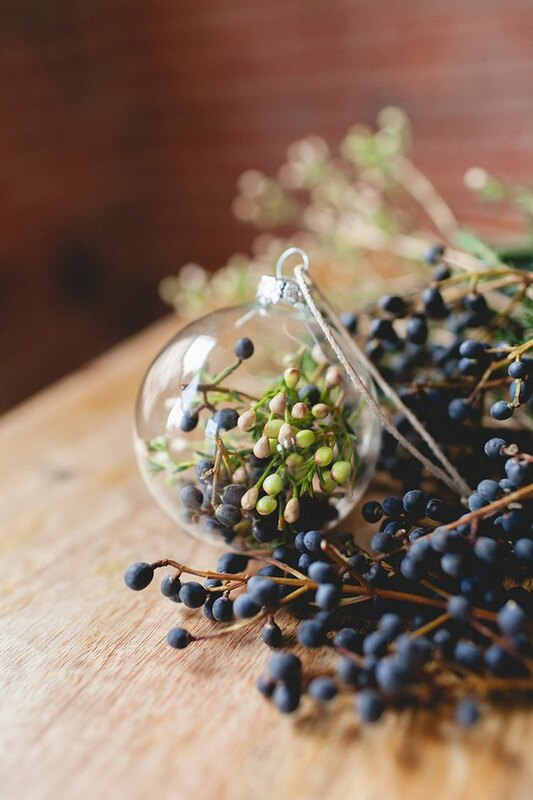 Gwen McKenzie from Jojotastic fills clear glass ornaments with an assortment of fresh-cut wild berries. You could also toss in a little greenery like moss or holly leaves for colorful contrast. Sure, red and green scream Christmas but that doesn't mean you have to stick to such classic hues. 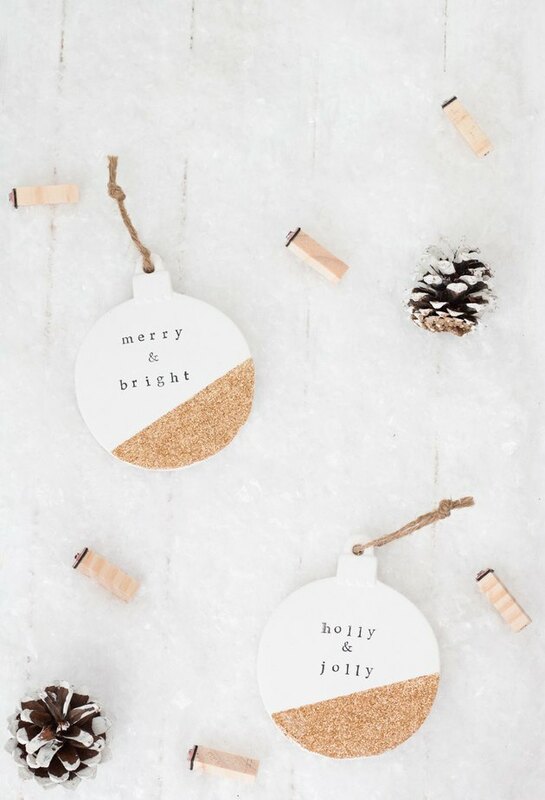 Opt for something a little more neutral like these rustic wood slice ornaments instead. Check out the step-by-step instructions from Ashley over at Cherished Bliss here. 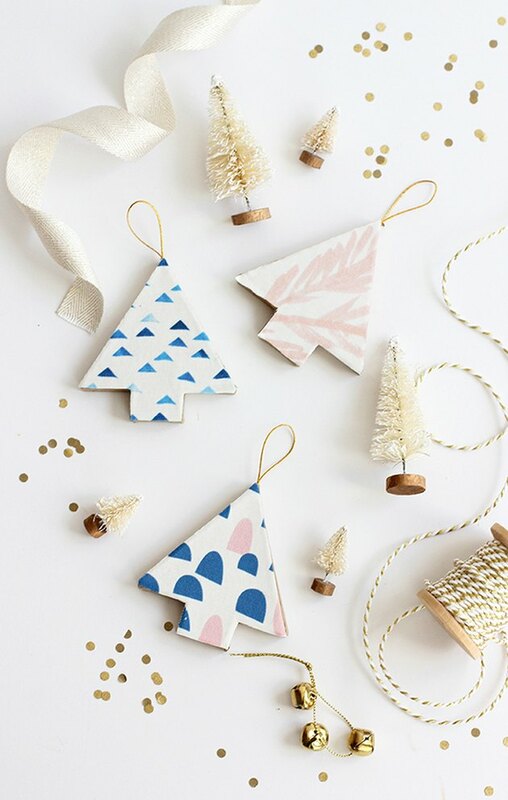 A modern twist on a Christmas classic, these wood tree ornaments by Kristi Murphy are a study in contrast. 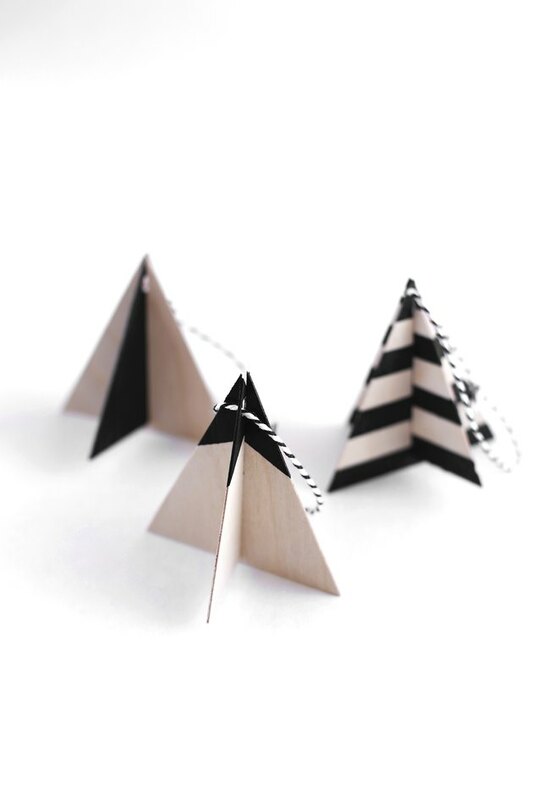 Bold black paint in unique and graphic arrangements on thin pieces of birch wood result in minimal yet eye-catching decorations that will pair beautifully with the rest of your Scandinavian holiday decor. Sometimes you've got to think outside of the box. 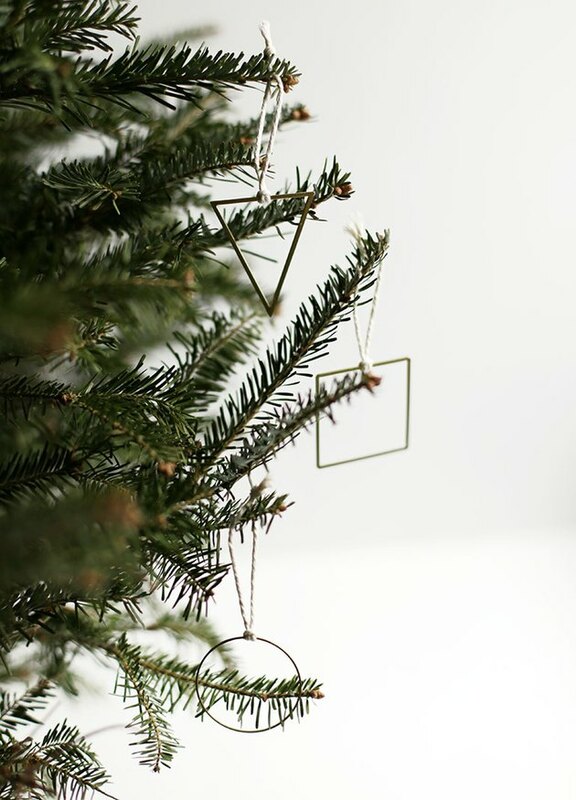 Case in point: This genius tutorial from Caitlin over at The Merrythought that transforms cookie cutters into modern DIY Christmas ornaments. credit: Why Don't You Make Me? 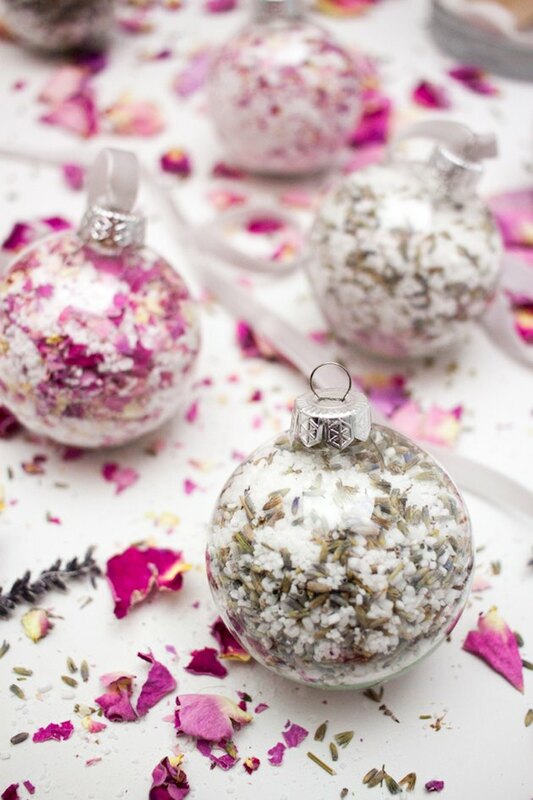 Filled with rose petals and lavender bath salts, these ornaments by Luisa from Why Don't You Make Me? are fun and fragrant. To make 'em extra festive, try a few drops of peppermint oil or cinnamon sticks and dried orange slices. What's great is that you can give these as gifts to all of your bath loving friends, too.